Culpeper Mid-Day Lions hosted their annual Bland contest on Sunday, February 17th at Culpeper Baptist Church. This event was arranged by Culpeper Mid-Day members Dr. Robert McCall and Mr. Justin McFarland. This event celebrates the life of Mr. James Alan Bland, an African American musician and song writer. Mr. Bland was born to a free family in Flushing, New York. He began performing at the age of 14 and graduated from Howard University. Mr. Bland wrote more than 700 songs including “In the evening by the Moonlight,” “Oh them Golden Slippers”‘ and “Carry me back to Old Virginny”. He was often referred to as the Worlds Greatest Minstrel man. 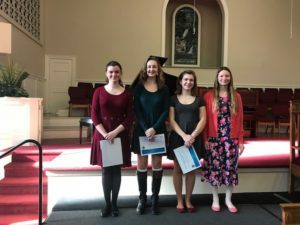 The local winners were Juliana Marie Cardine, vocal, and Allison Y. Oh, Instrumental. First runner-up was Laura Perez,Instrumental. No were no other Vocal entries in the competition. First Prize winners received a check for $100.00 while first runners up received a check for $75.00. After the regional winners are selected they continue on to state competition. Final competition will result in the award of a $2,500 music scholarship to both vocal and instrumental winners. All local residents, especially music teachers in the local system are invited to attend the regional contest and cheer our candidates on. A Huge thank you to Justin McFarland for all of his efforts to coordinate the event. Thanks, Justin! The winners are pictured in the lower left picture. All participants are pictured in the lower right photo. 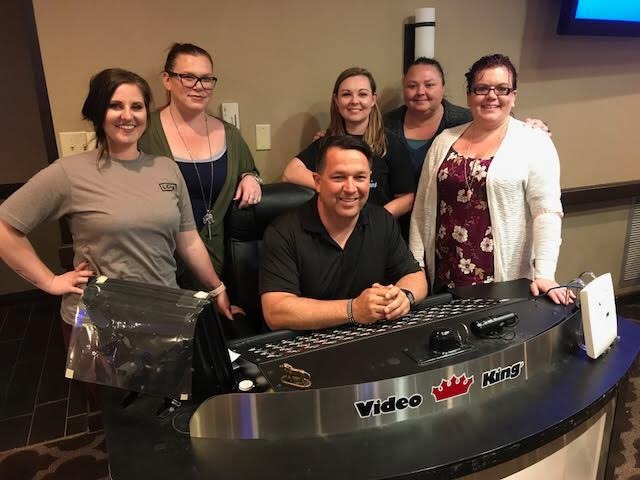 Left to right: Marie-Claire Matricardi, Lindsay J. Sanders, Laura A. Perez, Juliana M. Cardine, Vaden R. Sanders and Allison Y. Oh. 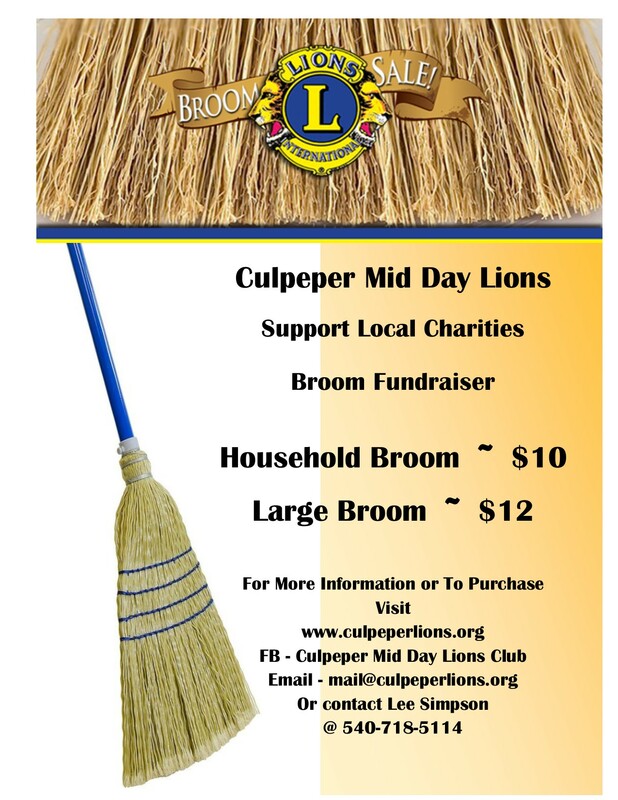 Please save the date, February 17, 2019, for the annual Bland Competition held by the Culpeper Mid-Day Lions Club. There year’s competition will be held again at the Culpeper Baptist Church at 2 PM. Each year the Mid-Day club is excited to host some of the best and brightest musicians in Culpeper and the surrounding area. Please join us for this entertaining event. Also, if you know of an aspiring musician who wishes to compete in the event for prizes and a chance to win scholarship money at the Regional, State and National level, contact Justin McFarland at 540-229-4391. We hope to see you there. COME JOIN US FOR A GOOD CAUSE! 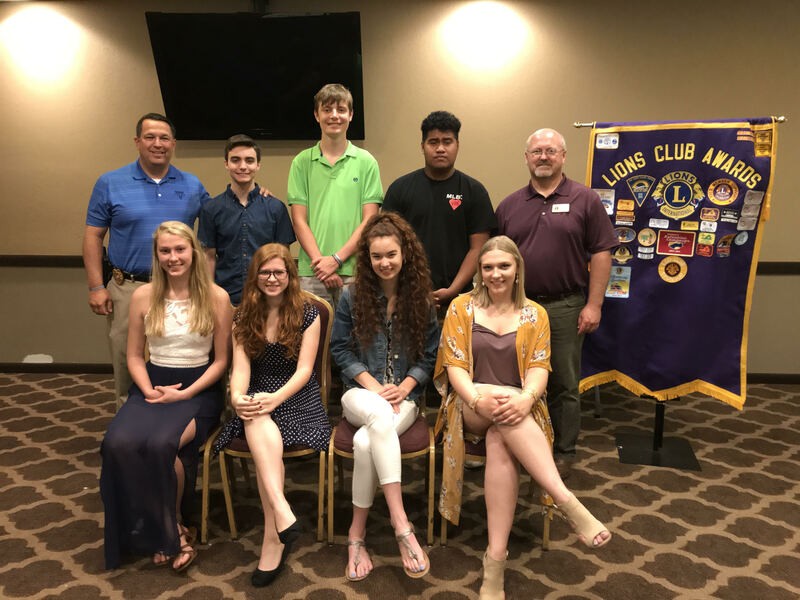 On May 24th, 2018, Culpeper Mid-Day Lions welcomed the 2018 Scholarship recipients from Eastern View and Culpeper County High Schools to their General Membership Meeting. It is an honor to be able to provide assistance to such an outstanding group of graduates who have proven themselves over their four year high school career. The graduates pictured include back row left: Waller Jones Memorial Scholarship Winner, Philip Temple, Liberty University; Matthew Sisk, Christopher Newport University; Kelsey Orndorff Memorial Home school Scholarship Winner, Brandon Embry, Germanna Community College. Front row far left: Jessie Clark, East Carolina University; Holly Thelin, Utah Valley State University; Ben Griffith Memorial Scholarship Winner and LEO Club Scholarship Winner, Allison Woods, Virginia Tech University; Sara Honaker, Virginia Tech University. The Culpeper Mid-Day Lions wish success to all of the recipients. 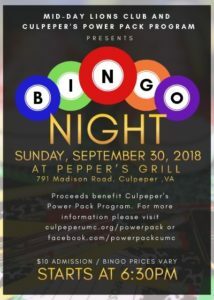 Culpeper Mid-Day Lions was proud to sponsor “SAFE Night” with our fifth Sunday bingo at Pepper’s Grill on April 29th. 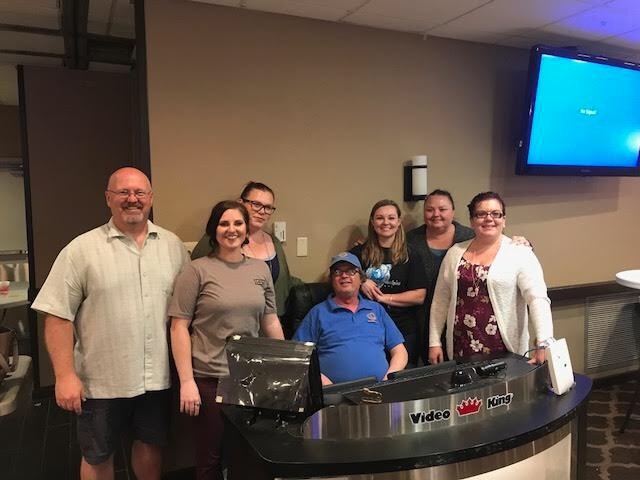 Ladies from the SAFE organization volunteered at our regular Sunday night bingo to help raise money for their organization. 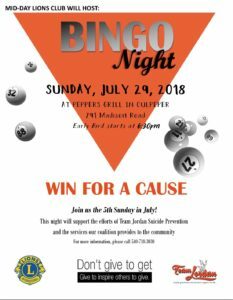 It was a good opportunity for patrons of bingo to get to know some of the volunteers helping out with this worthy organization. A percentage of the proceeds from instant game sales were donated back to SAFE as a part of the normal yearly contribution that Mid-Day Lions makes to them. Over $800 was raised through the hard work and efforts of these wonderful volunteers. Mid-Day has also made a $1,000 contribution back in October 2017. 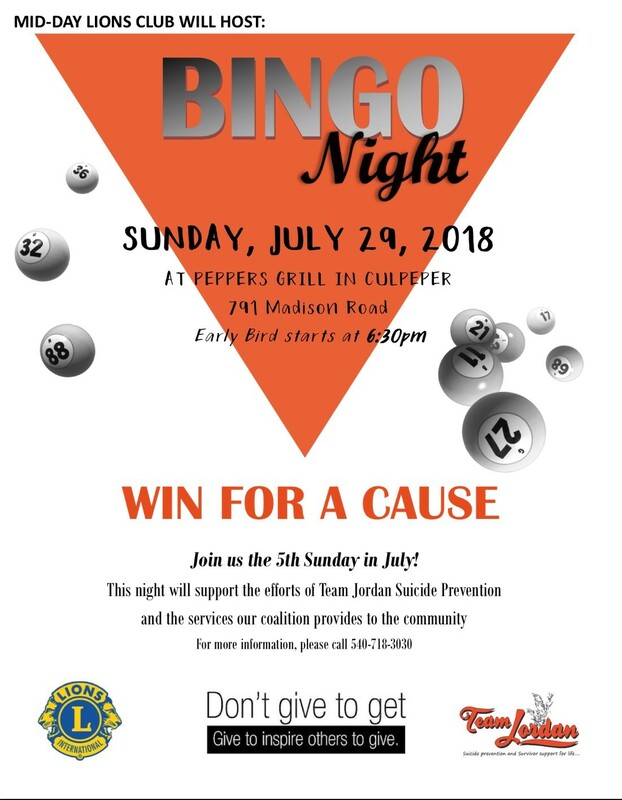 Mid-Day plans to host other organizations for Fifth Sunday bingo events to help with fundraising and promotion of other charitable organizations in the Culpeper area. Culpeper Mid-Day Lions hosted their annual Bland contest on Sunday, February 18th at the Culpeper Baptist Church. 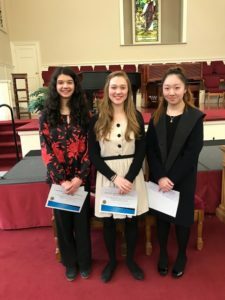 This event was arranged by Culpeper Mid-Day members Dr. Robert McCall and Mr. Justin McFarland and former Culpeper Host Lion, Dr. Phil Ferlazzo. This event celebrates the life of Mr. James Alan Bland, an African American musician and song writer. Mr. Bland was born to a free family in Flushing, New York. He began performing at the age of 14 and graduated from Howard University. Mr. Bland wrote more than 700 songs including “In the evening by the Moonlight,” “Oh them Golden Slippers”‘ and “Carry me back to Old Virginny”. He was often referred to as the Worlds Greatest Minstrel man. The judges for this event were Monroe Greeley and John Jewell. Mr. Greeley and Mr. Jewell judged the instrumental contestants. While, Mrs. Debbie Greeley and Ms. Gina Rossetti judged the vocal competitors. 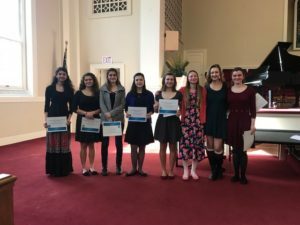 The local winners were Rachel Marie Cieplak, vocal, and Willa Faye Clore Instrumental. 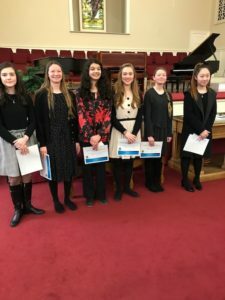 First runners up were Lindsay Joy Sanders ,Instrumental and Emma Ellon Butler, Voice. 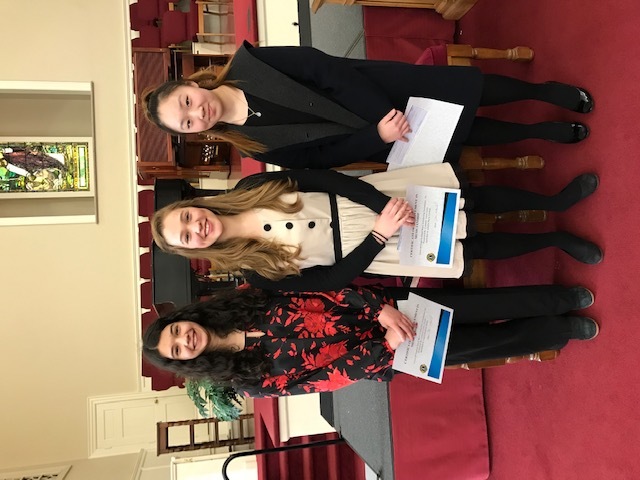 The local winners will compete against winners from Rappahannock County and the Instrumental winners from Zone 7. This contest will also be held at Culpeper Baptist Church on March 4th, 2018. 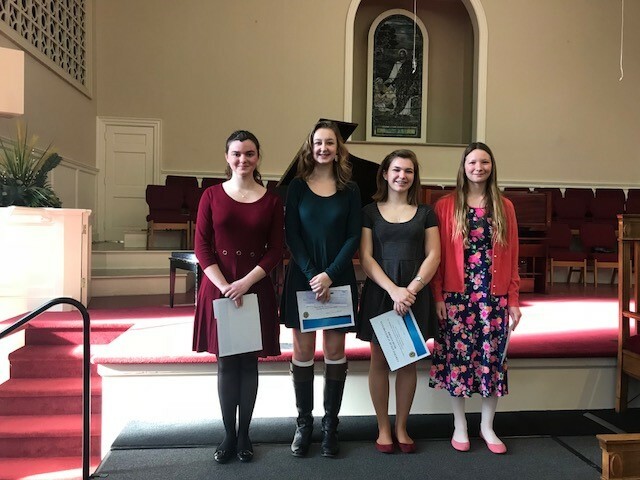 The other contestants were Georgia Laine Clore, Piano; Laura A. Perez Cutright, Violin; Annalise-Rachel Dovel, Guitar and Marie-Clare Matricardi, Piano. First Prize winners received a check for $100.00 while first runners up received a check for $75.00. After the regional winners are selected they continue on to state competition. Final competition will result in the award of a $2,500 music scholarship to both vocal and instrumental winners. All local residents, especially music teachers in the local system are invited to attend the regional contest and cheer our candidates on. The winner and first runner ups picture reading from Left to right are: Rachel Marie Ceiplak Vocal, Emma Ellon Butler, first runner up, Vocal, Willa Faye Clore Winner Instrumental and Lindsay Joy Sanders, First Runner up Instrumental. The group picture of the contestants reading from left to right are: Laura Cutright, Georgia Clore, Annalise Dovel, Marie Matricardi, Willa Clore, Lindsay Sanders, Emma Butler and Rachel Cieplak. Annually, Lions Club International sponsors a competition referred to as the Peace Poster competition. This competition is aimed at bringing out the artistic talents of Middle School students throughout the United States and the world. 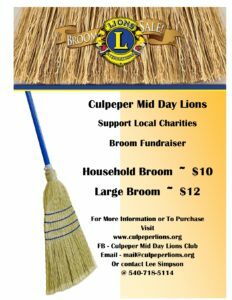 The competition held in Culpeper is led by the Mid-Day Lions club. The member charged with the responsibility for arranging this competition with the middle schools is the Grand Dame of the Mid-Day club, Ms. Lawanna Stanton. This year’s contest was held on the 10th of November at the Culpeper Middle School and the 13th of November at F.T. Binns. Each of these contest had four (4) contestants. The completion was spirited and the judges had a difficult choice in selecting the winners. The winning Culpeper Middle School contestant was Stephanie Chicas and the second place contestant was Vilma Flora Kivera. The First Place finisher at F.T. Binns was Lauren Herrera while second place went to Isabella Hardaway. The winners at each school receives a prize of $50.00 while the second place finishers receives $25.00. The posters from the winners have been sent to the District Governor’s office where a contest will be held to determine the District winners. The winner of this competition will have their poster forwarded to the Headquarters of the International Lions organization. This organization will host an international competition. The winner will receive a cash prize of $5,000 and 23 merit award winners will receive a cash prize of $500.00. It is extremely gratifying to the members of the Mid-Day Lions club to sponsor this event. The joy on the faces of the contestants, even those that fall short in the judging makes it worth the effort and expense of sponsoring the competition. Lion Bruce Hundley was honored recently with a Culpeper Colonel Award for his many years of dedicated service to the Culpeper community. 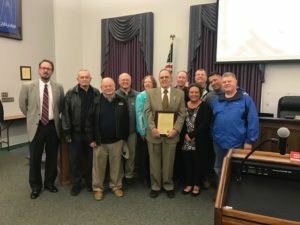 His membership in the Culpeper Mid-Day Lions has spanned over 40 years and his long-standing hard work and dedication did not go unnoticed by the County Board of Supervisors. With the help of Board member Gary Deal, Hundley was nominated and accepted to receive the honor in a ceremony held Tuesday, March 7th, 2017. Many of his fellow Lions were present to help celebrate his recognition and the honor. The award is much deserved and exemplifies the hearts of all the members of the Culpeper Mid-Day club.